While Drupal Image styles allow us to create the exact size we want, I was looking for a way to better optimize the image size, make progressive jpegs, and keep the rendered images looking as close to the original as possible. On its philosophy: the first and most defining tenet of which is to serve small businesses, non-profits, schools or just any organization that doesn't have a big budget. By continuing to use most of the now familiar D7 API, Backdrop lets devs work with and extend what they already know, thereby lessening the talent pool strain which in turn leads to more affordable web development solutions. A second tenet of the Backdrop philosophy is that it should be easy to use. Site builders who don't have coding experience should be able to use it without a lot of ramp up time. And the article continues with a good list of differences and advantages of Backdrop over D7. The short answer: Use field_view_field()! 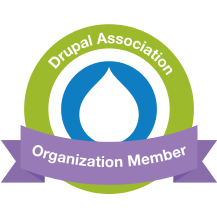 If you are a Drupal developer, read it all! Over the last few months, Dave Reid, one of the most active Drupal developers, has been giving a presentation called "Future-proof your Drupal 7 site". He comes up with a list of modules that have been backported to Drupal 8. Using those modules means you won't have to re-train your staff for Drupal 8. The idea behind this is that we have an online magazine and we want a landing page for each issue. This method can apply to anything really, though it might not fit all use cases. I'm a big fan of this method which I recently discovered and for all its minimalism, it gets you a lot.